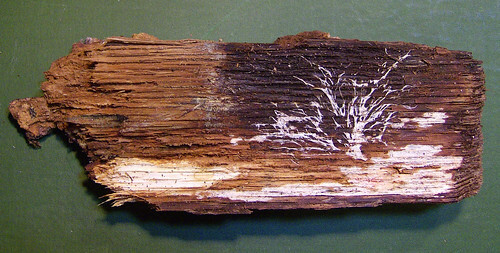 Mixed media art by Mother Nature in fungus on tree bark. Found in our wood pile and almost tossed into the fire. This entry was posted in Objects and Artifacts and tagged found art, pareidolia by Aria Nadii. Bookmark the permalink. Heh, it makes me nervous though. Fungi are getting intelligent enough that they are starting to take up hobbies.